A rub featuring fresh garlic and sea salt treats organic prime rib right. 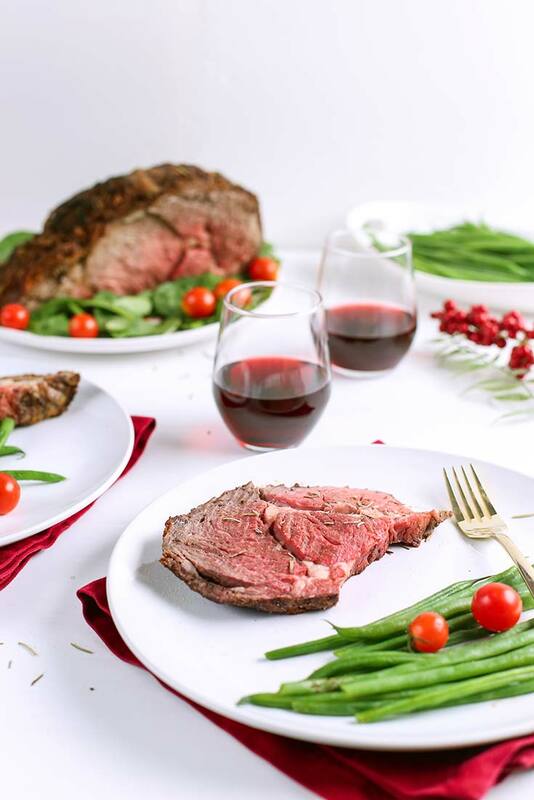 Three hours before roasting time, pull the beef from the refrigerator and let stand on the counter, covered loosely with a clean cotton towel. Thirty minutes before roasting time, preheat oven to 500 degrees. In a large bowl, combine the salt and spices and mix thoroughly. Bring the beef to the bowl, and rub the spice mix all over the roast, pressing most of it into the fat cap. Place a rack in the bottom of a large casserole and place the roast, bone-side down, on the rack. Place in the middle of the oven for 20 minutes. Turn the heat down to 325 degrees; rotate the casserole 180 degrees, then set the timer for 12 minutes per pound (for a 6-pound roast, 1 hour and 12 minutes). Using an instant-read internal thermometer, check the temperature in the center of the meat (not at the bone). If it has reached 125 degrees, remove it from the oven. If not, continue to cook and check the temperature roughly every 5 to 7 minutes until it is between 125 to 130 degrees. Try to use the same hole each time you insert the thermometer. Remove from oven, cover with foil and allow to rest for 20 minutes. Meanwhile, finish up your other dishes and call everyone to the table. Carve from the center for rarer cuts, and from the ends for more well done.